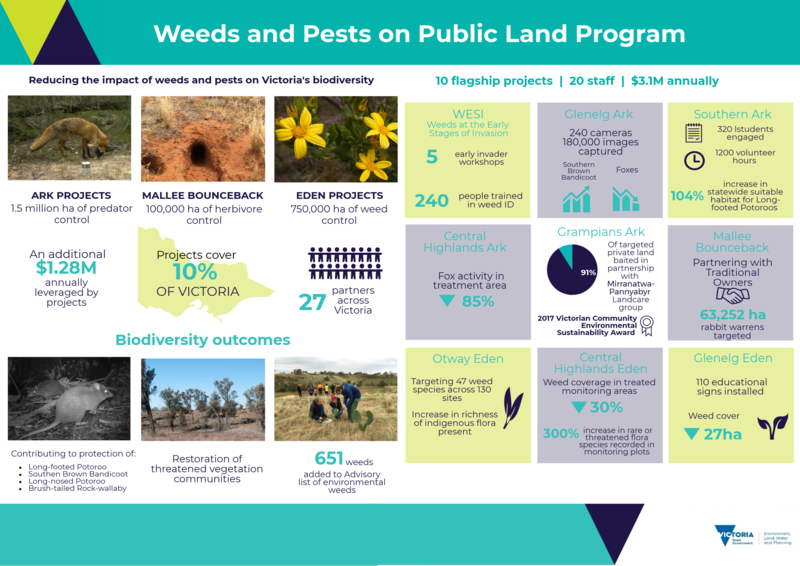 The Weeds and Pests on Public Land (WPPL) program funds landscape-scale weed and pest projects, focusing on protecting Victoria’s biodiversity. 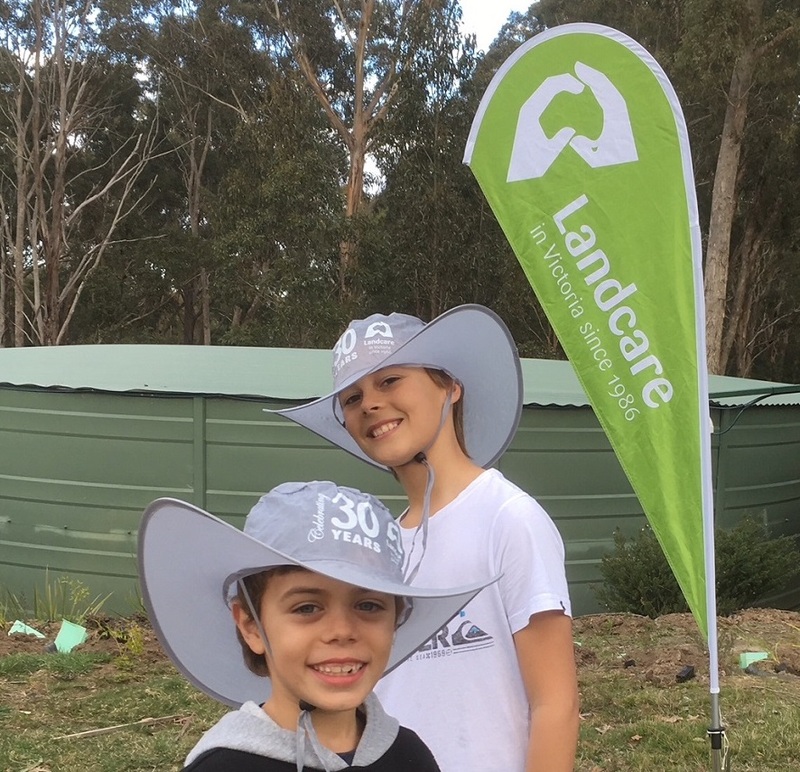 The program is working to achieve the vision of Biodiversity 2037, Victoria’s plan to stop the decline of our native plants and animals and ensure our natural environment is healthy and resilient. The program invests $3.1 million each year across approximately 10 per cent of the state throughout Victoria’s highest biodiversity assets. A further $1 million is contributed each year by delivery partner, Parks Victoria. The program has been running for 15 years and is delivered by the Department of Environment, Land, Water and Planning (DELWP) – Forest, Fire and Regions and Parks Victoria, along with more than 27 partners and stakeholders across the state. These include Traditional Owner groups, Agriculture Victoria, Arthur Rylah Institute, Melbourne Water, Vic Roads, local government agencies, Catchment Management Authorities, universities, community organisations and volunteers. Partners are key to the success of the program and contribute through planning investment, research and monitoring, planning, delivery and volunteer hours. Alongside WPPL projects, the Victorian Government is investing $86.3 million to implement Biodiversity 2037, over the first four years of the plan. This includes $34.77 million of investment in in Biodiversity Response Planning (BRP), a new area-based planning approach to biodiversity conservation in Victoria. Biodiversity Response Planning was designed to strengthen alignment, collaboration and participation between government agencies, Traditional Owners, non-government agencies (NGOs) and the community. A full list of BRP projects can be found on our webpage. Herbivore control: The Mallee Bounceback Rabbit Control project aims to protect and restore the biodiversity of semi-arid woodlands. Find information on each individual project using the drop down menus at the bottom of this page. Consider selection of garden plants carefully; many of our environmental weeds start out in gardens. Consider planting Victorian indigenous species. Practice responsible disposal of garden waste. The Central Highlands Ark is a collaborative project between DELWP and Parks Victoria and was established in 2012 as a landscape scale fox control project. The project works to reduce fox numbers and protect small mammals, birds, reptiles, and amphibians. The project undertakes broad-scale and continuous fox control across 150,000 hectares of public land in the Central Highlands of Victoria. Foxes cause great harm to the biodiversity of the Central Highlands through degrading habitat and preying on native species. A single fox can kill thousands of animals each year and consumes around 400 grams of food each night. The project uses 1080 baits to control foxes. These baits contain the naturally occurring compound, sodium fluoroacetate, which can be found in many Australian native plants. Many native animals have developed a high degree of tolerance to 1080 while foxes are very sensitive to the poison. Contact the Central Highlands Ark Project Officer at DELWP Toolangi Office on (03) 5962 0200. The Glenelg Ark is a collaborative landscape-scale fox control project operating in south-west Victoria. 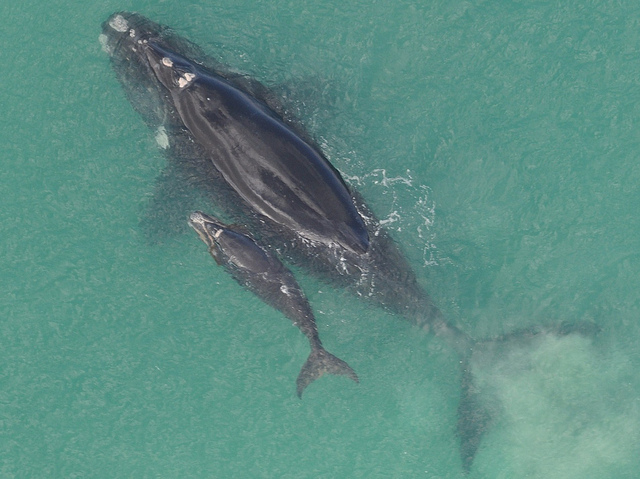 The project is delivered by DELWP in partnership with Parks Victoria, Agriculture Victoria, Glenelg Hopkins Catchment Management Authority, the Arthur Rylah Institute and the University of Melbourne. 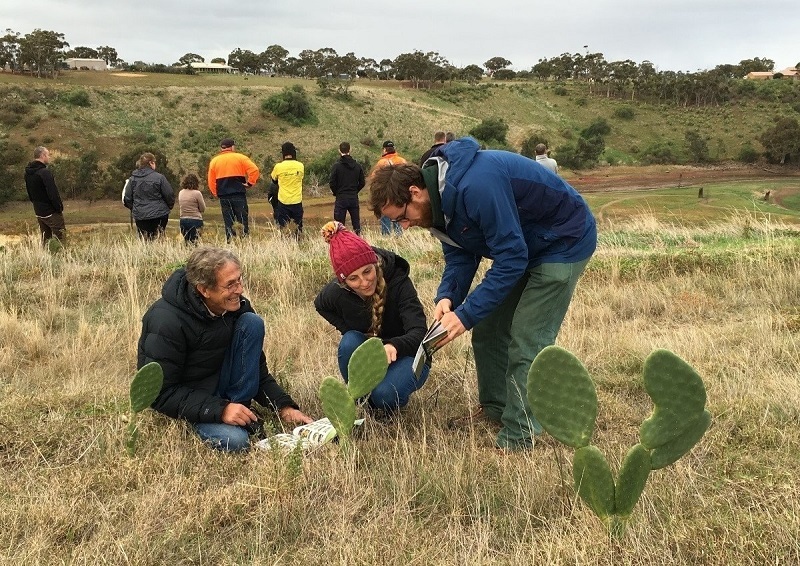 This important local project is helping to protect native plants and animals including the endangered Southern Brown Bandicoot,which inhabits parts of southern Australia including the south-west of Victoria. The project targets the fox, a known predator of the Southern Brown Bandicoot. Baits are used to control foxes across 90,000 hectares of public land in south-west Victoria. The Glenelg Ark project includes a comprehensive monitoring plan which measures how reducing populations of foxesbenefits the Southern Brown Bandicoot, Long-nosed Potoroo, and the Common Brushtail Possum. The number of foxes appear to have declined within treated areas as indicated by a significant decline in bait take from 2005 to 2013. Monitoring of the three native mammals within treatment and non-treatment areas show the benefits of continued landscape scale fox control. Image of a Southern Brown Bandicoot courtesy of the Glenelg Ark project. The Grampians National Park has long been home to the to the endangered Brush-tailed Rock-wallaby, a small and agile macropod found in rugged, rocky areas of south-east Australia. The Brush-tailed Rock-wallaby seeks rocky-escarpments during the day and emerge at dusk to feed on native grasses and other vegetation. Foxes pose a huge threat to this rock wallaby as well as many other native animals that call the Grampians home. For the past 20 years, Parks Victoria has been working hard to protect small mammals by controlling fox numbers. 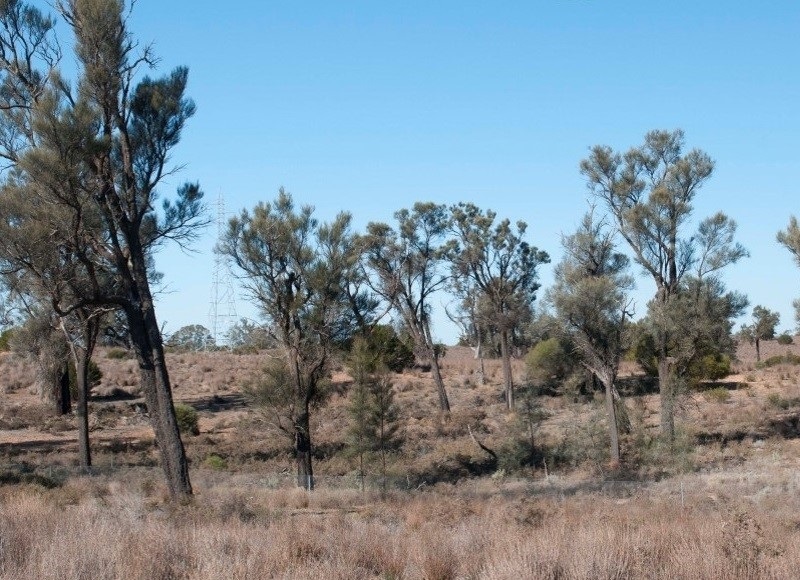 The Grampians Ark project delivers fox control across 226,000 hectares of Grampians National Park, Black Range State Park, Grampians State Forest and adjoining private land in partnership with the Mirranatwa and Pannyabyr Landcare groups. A key highlight of the program has been the 2008 reintroduction program for the Brush-tailed Rock-wallaby. In 2015, the project was awarded the Nancy Millis Science in Parks Award for the joint Parks Victoria – Deakin University long-term small mammal monitoring project. The project was also awarded a 2017 Victorian Community Environmental Sustainability Award for collaboration with Mirranatwa and Pannyabyr Landcare Groups. Follow @Wild_Grampians on Twitter to stay up to date with Deakin University research in the area. Far East Gippsland is a hotspot for native mammals, birds and reptiles, many of which are rare or extinct in other parts of Victoria. Unfortunately, the local biodiversity is threatened by foxes. The Southern Ark project aims to reduce the number of foxes and support the recovery of all native animals populations. 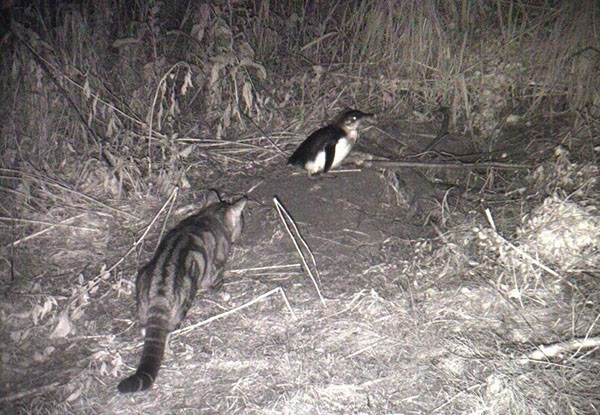 The project assists the recovery of many species including the Long-footed and Long-nosed Potoroo, the Southern Brown Bandicoot and the Southern Brush-tailed Rock-wallaby across around 1 million hectares. The Southern Ark project covers state forest, national parks and private land across the entire eastern wedge of Victoria, from the Snowy River valley to Cape Howe. The Southern Ark project has continued the work of land managers who have ran an extensive program of research, testing, baiting and monitoring in the area since 1995. Over the years, the program has successfully controlled fox numbers and increased numbers of native mammals. The Long-footed Potoroo is a small forest-dwelling kangaroo which inhabits forest with a dense understory in East Gippsland, south-eastern New South Wales and north-eastern Victoria. The Victorian Flora and Fauna Guarantee Act 1988 lists the Long-footed Potoroo as Endangered. Feeding almost entirely on hypogenous (underground fruiting) fungi, the Long-footed Potoroo depends on dense moist habitat all year round. Long-footed Potoroos appear to occur in small, low-density colonies, which are vulnerable to random environmental processes, such as wildfire and climate change. The Barry Mountains Fox Control project targets a known predator of this species, the fox. The project began in 2004 after the 2003 bushfires that impacted significantly on Long-footed Potoroo habitat in the Alpine National Park and Buffalo River State Forest. Parks Victoria lead the project in partnership with DELWP, which delivers over 48,000 hectares of fox control in the project area. Central Highlands Eden is a landscape scale weed management project spanning across nearly 400,000 hectares of public land in Victoria’s Central Highlands. The project covers Baw Baw and Yarra Ranges national parks, Bunyip and Moondarra state parks, and all interconnecting state forests including Yarra, Noojee, Tanjil, Toombon and Thomson State Forests. This important local project helps protect native plants and animals and restores the biodiversity of the Central Highlands by managing invasive weeds. The project aims to detect and remove high risk weeds that threaten biodiversity. It also focusses on preventing new weed species coming into the area and runs training sessions for local land managers, agency staff and community groups to identify and manage weeds. This collaborative project is delivered by DELWP in partnership with Parks Victoria, Melbourne Water, VicRoads, Baw Baw Shire, Shire of Yarra Ranges, West Gippsland Water, West Gippsland Catchment Management Authority, SP AusNet, and the Walhalla Board of Management. Image of Red Hot Poker plant (Kniphofia), an invasive weed found in the Central Highlands project area. Image courtesy of the Central Highlands project. The Glenelg Eden is a landscape scale weed control project covering 210,000 hectares of public land in south-west Victoria. The project aims to reduce the impact of pest plants, preserve environmental values and give species such as the vulnerable Blotched Sun-orchid and the threatened Long-nosed Potoroo, the best chance to succeed. The project targets more than 70 unique weed species invading state forest, national parks and public land in the Glenelg region. Of these 70 species there are new species and well established weeds. A highlight of the project has been the management of Common Climbing-Aloe (Aloiampelos ciliaris). By removing this weed, the project has supported the herb-rich woodlands, heathy woodland and lowland forests of Mt Clay State Forest; home to the rare Small-flower Grevillea, and the endangered Southern Brown Bandicoot. Report new and unusual plant/weed sightings on or near Forest, parks and reserves in the far south west of the state, especially those in low numbers or recently detected, whether they are declared noxious (Scheduled weeds) in Victoria or not to Agriculture Victoria. The Otway Eden is a landscape scale weed control project established in 2004 to protect native plants and animals and restore the biodiversity of the Otway Ranges National Park. The project delivers weed control across 140,000 hectares of the most valuable biodiversity hotspots in the parks and reserves of the Otways. The project targets well-established invasive weed species including Sallow Wattle, Coast Tea Tree, Blue Bell Creeper, Sweet Pittosporum and Boneseed. The Otway Eden project aims to control the well-established weed species and prevent new weeds from establishing in the area. The project works with private landholders, local community groups and volunteers to spread the message of the threat of invasive weeds. The project is delivered by Parks Victoria in partnership with DELWP and with the support of local community groups and volunteers. High risk weed species - 47 species including Sallow Wattle (Acacia longifolia), Coast Tea Tree (Leptospermum laevigatum), Blue Bell Creeper (Billardiera heterophylla), Sweet Pittosporum (Pittosporum undulatum), Boneseed (Chrysanthemoides monilifera). The Mallee Bounceback is a rabbit control project aiming to protect and restore the biodiversity of semi-arid woodlands in the Mallee. 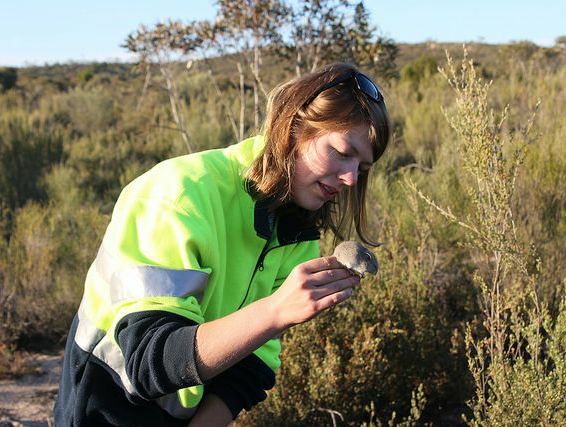 The project targets the rabbit, a known threat to the semi-arid woodlands of the Mallee. Rabbits cause great harm to the woodland environment by over-grazing, preventing the regeneration of native shrubs and trees, spread invasive weeds and by supporting high numbers of introduced predators. While eradication is hard, the project aims to keep rabbit numbers below a threshold of one active warren entrance per hectare. Project officers conduct counts twice each year in autumn and spring. These counts cover remnant rangeland communities across parks, reserves, state forest, and private land (Neds Corner Station). Results from these counts are used to evaluate the effectiveness of investment in rabbit control. Hotspots of rabbit activity located through the counts can then be treated as a priority by the land manager. The project is led by Parks Victoria and rabbit control is delivered across more than 100,000 hectares. This collaborative project is delivered in partnership with DELWP, First Peoples of the Millewa-Mallee Country and Barengi Gadgin Land Council, Mallee Catchment Management Authority, Wimmera Catchment Management Authority and Trust for Nature. Learn more about the threat of rabbits by visiting Agriculture Victoria. Image of Mallee landscape courtesy of the Mallee Bounceback project. Weeds at the early stage of invasion, also known as early invaders, are plants that have naturalised and are starting to spread in the environment. There are many benefits to treating early invaders before they have spread widely; land managers save time and money, and the threat to biodiversity is reduced. 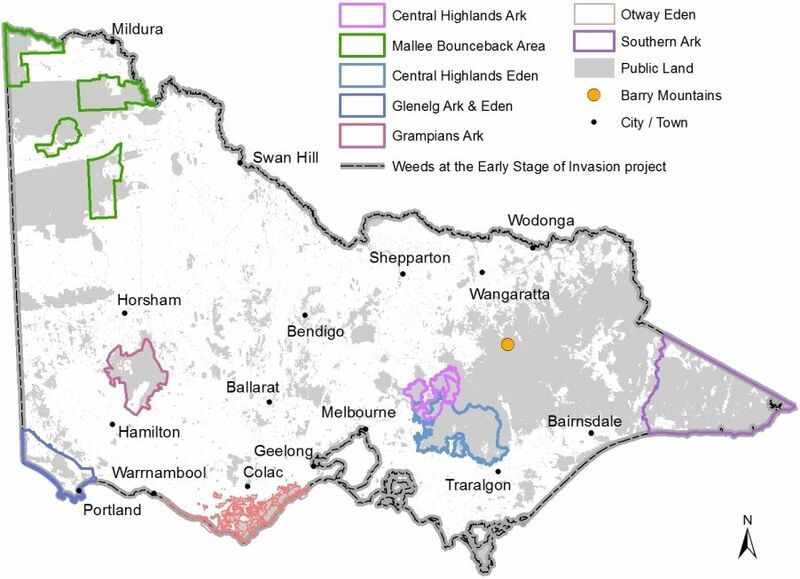 The WESI project is a capability building project that supports Victorian land managers to manage weeds that are in the early stage of invasion and a threat to biodiversity. The project assists land managers to identify, manage and reduce high risk weeds. The project has developed a decision making framework and a number of tools to help public land and biodiversity managers through the process of recognising and dealing with the risk of early invader weeds. The project holds regular training activities and offers face-to-face support and guidance through social media. The project is delivered by the DELWP and provides training for Parks Victoria staff, public land managers, community groups and volunteers. Photo of opuntioid cacti identification training. Image courtesy Kate Blood.